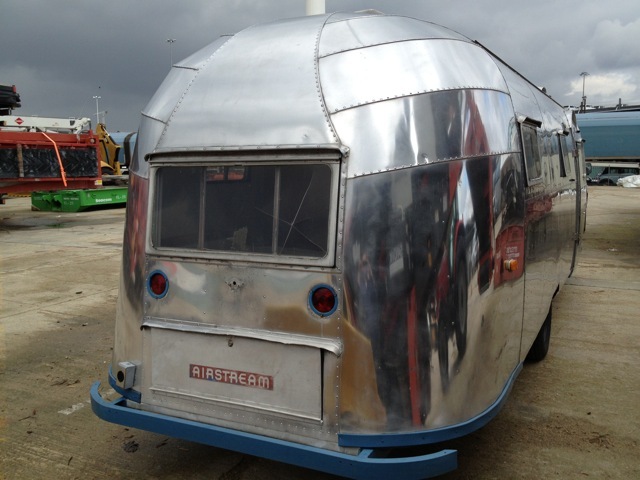 New arrival – 1955 Airstream Whaletail Cruiser! 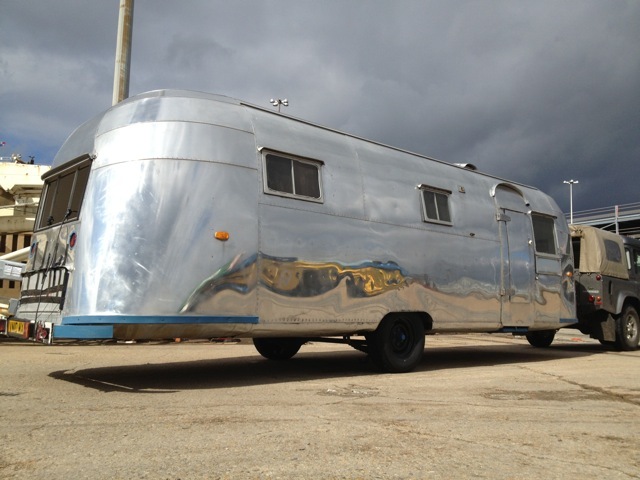 Work still progressing on the Safari, but another project about to begin, with this gorgeous 1955 Airstream “Whaletail” Cruiser! First appearing in 1949, the Cruiser model started as a 24ft trailer, growing to 25ft in 1950, then with the addition of a sloping rear end, to 26ft during the course of 1954. The fore-runner to the Overlander, the Cruiser name was retained alongside the Overlander name until 1957 when it was discontinued. It was manufactured in both the Ohio and California factories, with the Californian versions being distinguished by its “Whale Tail” rear roof panels. Only around 100 Cruisers were made in the California factory in 1955 – not sure how many are left, but safe to say it’s pretty rare! So why did we get it? Well, first of all, we just LOVE the Whale Tail, but while that also appears on smaller Airstreams too, we fancied seeing what we could do with a bit more space inside than we have with the Safari, which is 22ft (meaning approximately 19ft internally, as stated Airstream lengths are given as the distance from the front of the tow bar to the rear). Interior furniture was shot, so that’s been removed. Internally, to put it politely, the furniture was shot! A lot of the original seating and lockers had already been removed, although some cupboards did remain, but weren’t really salvageable. 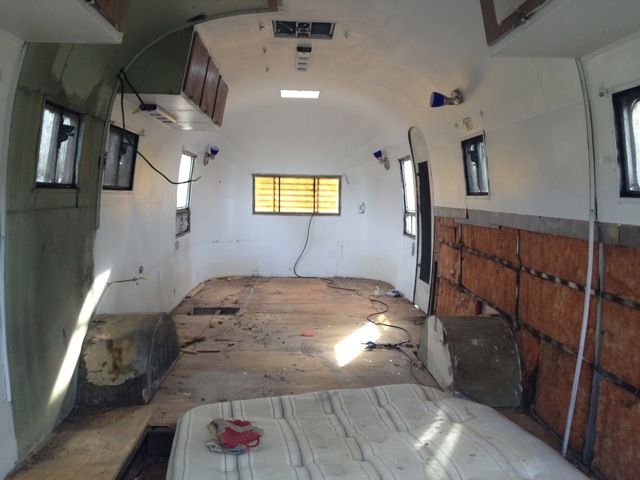 The one bonus was that the bank of overhead lockers was intact and in actually very good condition, so it will be possible to polish those up and re-use. A lot of work to come, but it will no doubt be worth it!